The integration of software into embedded systems is the predominant accelerator of innovation, but also the cause for mounting system complexity, which has lead to expensive recalls, costly litigation, and even loss of life. To curb the ever rising risks, automotive OEMs have begun to demand stringent standards compliance from their internal teams as well as their supply chain. 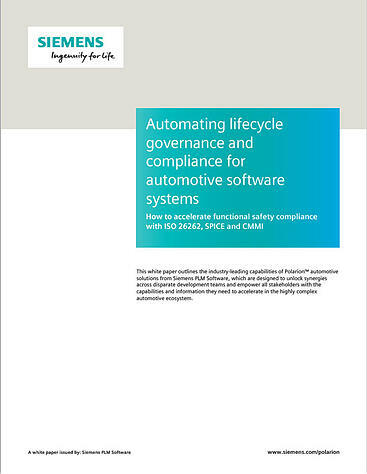 In this whitepaper, we outline the benefits of taking a unified approach to application lifecycle management (ALM) to mitigate risk, and detail the steps to automate fully traceable compliance processes.